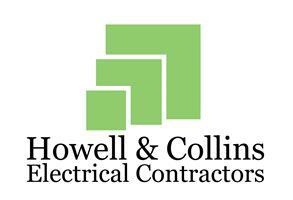 Howell & Collins Electrical Contractors was born with the joining of two sole traders- LMC Electrical and PH Electrical. We are Part P certified with ELECSA (No.57811) and have £2,000,000 of public liability insurance cover. We are a partnership based in Faringdon Oxfordshire, but also cover Wiltshire and Bath. Here is a little bit of an introduction to the Partners at Howell & Collins. Lewis Collins- (Wiltshire and Bath) I started in the trade in 2006 when I completed my apprenticeship with the Royal Engineers to become a class 2 military electrician. Upon leaving the Army in 2009 I worked for various electrical contractors then in 2011 I set up on my own LMC Electrical. I am now in my 7th year of being a part P certified electrician. Peter Howell- (Oxfordshire) I started as an electricians mate in 2010, gaining my electrical qualifications in 2013. I am now in my 5th year of being a part P certified electrician. We have been involved in all aspects of domestic work such as- Consumer unit upgrades, rewires, extensions, extra sockets, extra lights, out door lighting and power, fire detection, alarm systems, electrical installation condition reports, tv points, ethernet points, landlord inspections and many more. We also work on lite commercial premises. All our work is carried out with care and consideration. We believe the last thing to leave site should be the Hoover! We work to the highest standards and would rather take our time to do a job right rather than rush. We have built a good customer base through word of mouth and personal recomendations and would be happy to give details of previous and current customers. We hope to meet you at some point in the future.